Erik Fedko did everything right. The German slopestyle mountain biker from the Ruhr area grows up next to a motocross race track and starts with motocross when he was 8. Two years later, his father built him his first mountain bike and Erik began to dream of becoming an extreme sports pro. True to his motto “Living young and wild and free”, Erik Fedko is constantly accelerating. In 2013, he entered his first FMB events and 3 years later Erik had his breakthrough, winning the FMB AM Cup Europe. He rose further through the ranks in 2017 when he collected several top-10 spots including a 2nd place at the FMB Dirt Jump Gold event O’Marisquino in Vigo (ESP). 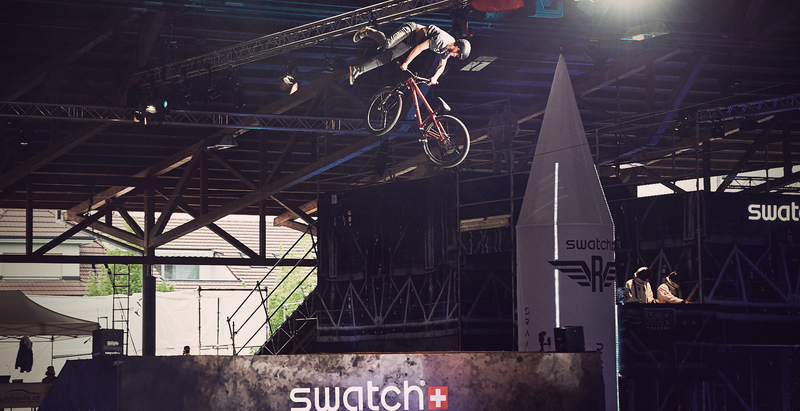 Then he followed this with a sensational 5th place at the prestigious FMB Slopestyle, Diamond Level, Red Bull District Ride in Nuremberg (GER), in front of 90,000 spectators. Our distributor, 24/7 Distribution GmbH, becomes aware of the young German in 2017 and supports him with material. We now officially welcome Erik to the TSG Pro Team. He meets team mates like the very first FMB World Tour winner Sam Pilgrim, and slopestyle colleagues Matt Jones and Max Fredriksson. Erik sprays energy! Together with his incredible talent and style, we can’t wait to see what more he has got in him.